ASX 200 closes up 20 to 5941 after early losses in banks and resources. High 5933 Low 5885. Average volume. Banks shrug off early losses and ex-div weakness. WOW rallies on servo deal. Oil kicks on Saudi supply cuts. Energy stocks find support. Bitcoin slightly weaker at US$6359. Aussie Gold slips a little to $1674. Asian markets firm with Japan up 0.11% and China up 0.68%. MSB -27.98% very disappointing trial results. Looks overdone. LYC +9.59% Malaysian inquiry backs LYC so far. HSO +14.42% Brookfield back and trumps BGH. NVT -unchnaged- knocks back BGH too. ORE +3.67% GXY +1.85% lithium stocks doing well still. CTD +3.90% Bennelong goes substantial. APA +3.04% life in this dog yet. WGN +1.99% bounce gets underway. SXY -3.53% construction begins at Roma North. SDF -5.54% broker warning on the business model. APT -7.34% ‘Off Broadway’ Royal Commission kicks off. MWR -0.51% backs off highs. Speculative stock of the day: Encounter Resources (ENR) +47.50% after an investor update on its large-scale gold potential in WA. Plus news of an agreement with IGO to advance the Patterson copper-cobalt exploration. Pilbara Minerals (PLS) +2.40% Board has approved the expansion of stage 2 at the Pilgangoora Lithium-Titanium project, increasing processing capacity to 5Mtpa. Expansion is dependent on obtaining the required regulatory approvals and securing the project funding. Rio Tinto (RIO) +1.66% Have successfully completed the off-market buy-back with approximately 41.2m shares bought for a total of $2.87bn. The buy-back price was $69.69, a 14% discount to market price. Independence Group (IGO) –2.08% Have joined Encounter Resources (ENR) as a major shareholder and partner to advance the Yeneena Copper-Cobalt Project in WA. IGO has subscribed for $1.8m of ENR shares at 7.5c per share, a 60% premium from the 20-day volume weighted average. Further, IGO has the right to enter into a $15m earn-in agreement any time before March 1 2020, that would secure a 70% interest in Yeneena. The placement funds will be used to advance 3D copper target definition and testing at Yeneena. Healthscope (HSO) +14.42% The company has recieved another takeover offer from Brookfield by way of a scheme of arrangement for 100% of HSO at a price of 258.5c. The board has granted Brookfield due diligence and has interestingly denied the competing bid from BGH no access to the books. BGH and Australian Super have Here are the terms: Brookfield’s revised proposal is for an acquisition of all of the shares in Healthscope by way of an off-market takeover offer of 242c in cash per share and a simultaneous scheme of arrangement of 255c per share. Under the Brookfield Proposal, Healthscope would be entitled to pay an interim dividend of up to 3.5c per share. As such, the total value represented by the Takeover Offer is 245.5c per share and the total value represented by the Scheme of Arrangement is 258.5c per share. Under the Scheme of Arrangement, shareholders would have the option to receive all cash or to receive some of the consideration as shares in an unlisted company controlled by Brookfield that would own 100% of Healthscope. The Takeover Offer would be conditional upon Brookfield achieving acceptances from shareholders representing 50.1% of Healthscope’s total issued capital and the Brookfield Scheme of Arrangement being unsuccessful. Seven Group Holdings (SVW) –0.50% Trading update; guides FY19 underlying EBIT of $621m – 25% above FY18 numbers on a continuing operations basis. Seven West update; ratings dominance have continued with 39% share in all months of FY18. Underlying EBIT of $236m at the upper end of $220m-$240m guidance. Costs down $22m, exceeding the target. Cost reduction program to deliver further $125m of savings. Elders (ELD) +19.70% Underlying net profit after tax of $63.7m up 9%. Underlying EBIT of $74.6m, up 5% (+ $3.6m) from pcp. Underlying return on capital of 24.2% . Statutory net profit after tax of $71.6m. 9c fully franked dividend. QBE Insurance (QBE) +0.52% Provided the following 2018 targets at investor presentation; combined operating ratio of 95-97%, vs 95-97.5% prior. Investment return 2.25-2.75%, vs 2.5%-3.0% prior. Navitas (NVT) – Rejects further proposal from BGH Capital, at $5.50/share. The NVT is exploring with multiple parties and transaction that has the potential to increase value for NVT shareholders. Most of these parties have confirmed that the commitments by AustralianSuper and others are impediments to proceeding. Jack Ma from Alibaba sees record Singles Day as his last in charge. 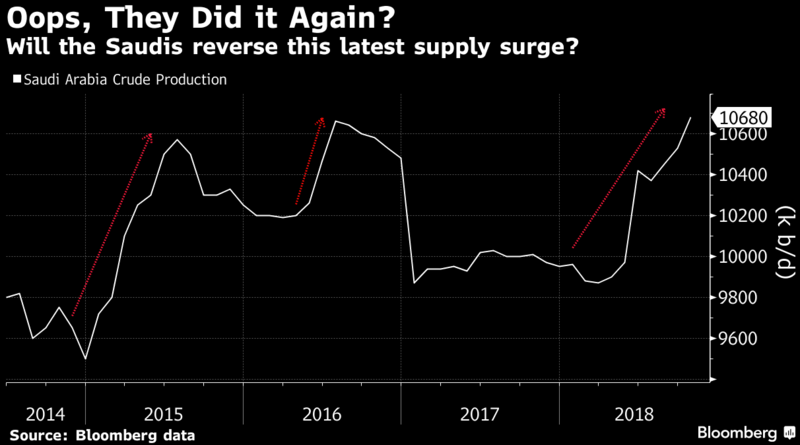 Plenty of talk about OPEC supply cuts after Saudi has ramped up recently. Boris’ brother resigns as BJ take aim at May. Brexit is just getting messier and messier.